photographs below to access the articles. 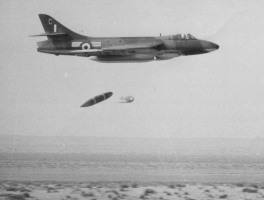 208 Squadron operated the Hunter from 1958 to 1971, exclusively in the Middle East. 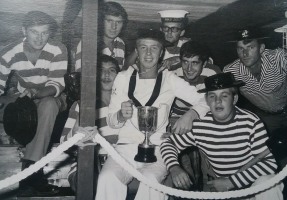 Click on the picture on the right to read the recollections of Rod Dean, who served on the Squadron between 1969 and 1971. Click on the picture on the left to view Richard Hanscomb’s Collection of Photographs of ‘208 Squadron 1970 - 1971’.